It’s time to get your running shoes on! The Portland Coastal Marathon is coming to the Weymouth Portland National Sailing Academy on Sunday 4 February 2018. This much-anticipated race is the talk of the town, encouraging local businesses to ready themselves for a strong rise in visitors. It’s comes as no surprise that The Weymouth and Portland National Sailing Academy is the centre for the sport of sailing on the Isle of Portland, Dorset, on the south coast of England. The Academy not only offers superb facilities for events and squad training, it also has a huge community of members offering training in a wide range of athletic abilities. A new twist to the Portland Coastal Marathon is that this year the marathon will be a cup-less race. This means that the organisers will not be providing disposable cups at the end of the race. This is a new initiative in line with most European trail races owing to the high amount of litter and waste. Participants in the race are encouraged to bring their own re-usable bottles. There will be volunteers at all aid stations, ready to fill water bottles. 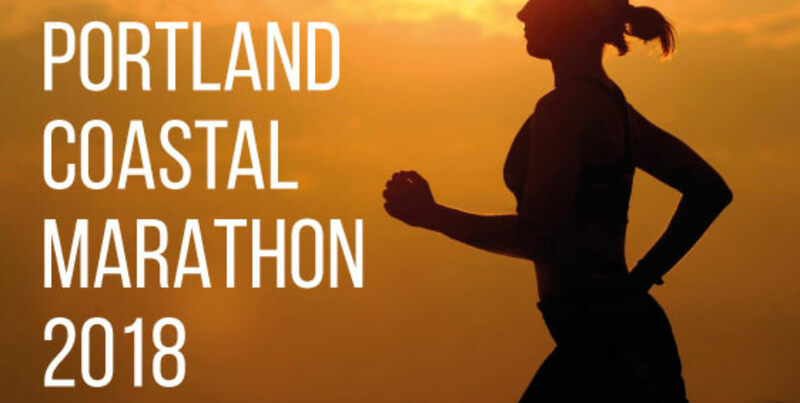 The Portland Coastal Marathon 2018 is going to be a ton of fun for you and the whole family. As you can imagine, this fantastic sporting event is very popular. If you intend to visit beautiful Weymouth, please plan ahead. Why not make a weekend of it? Accommodation at this time of year is in high demand. B+B Weymouth is perfectly located with quick access routes to all the fun. Contact us today to arrange your booking.